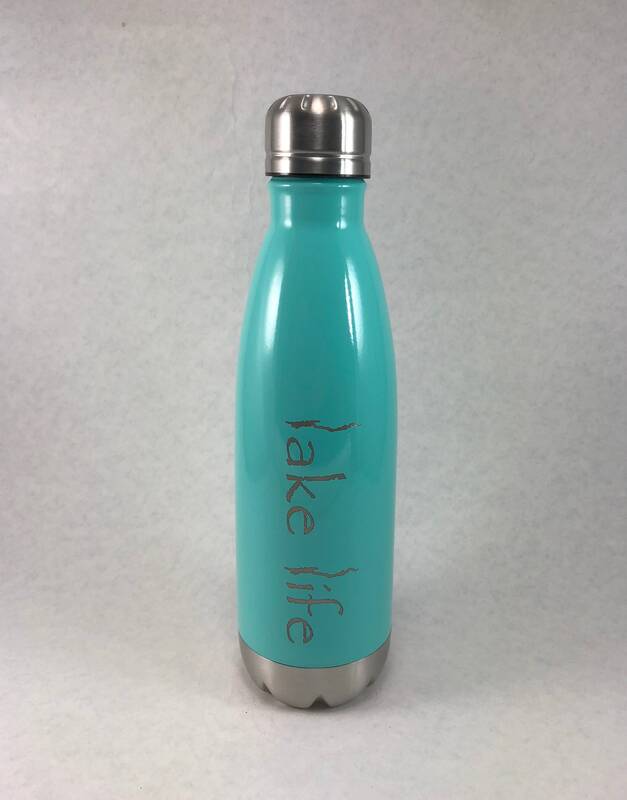 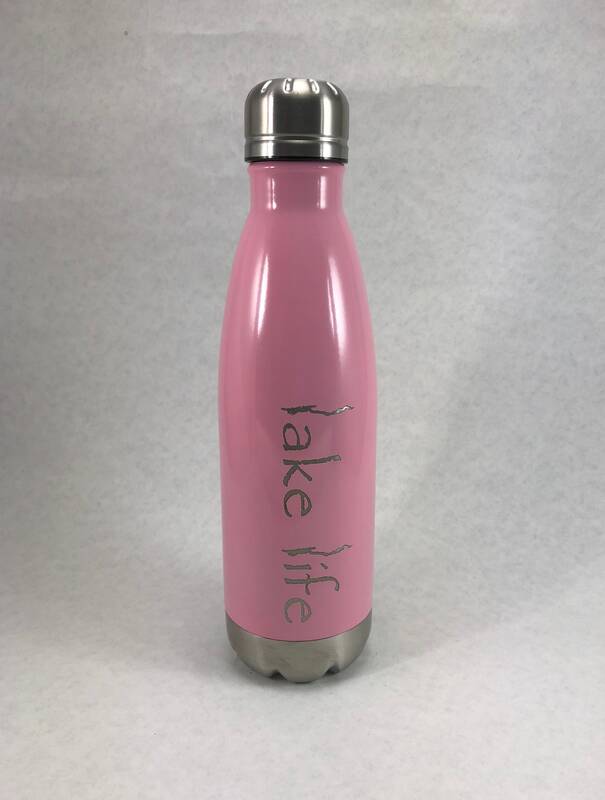 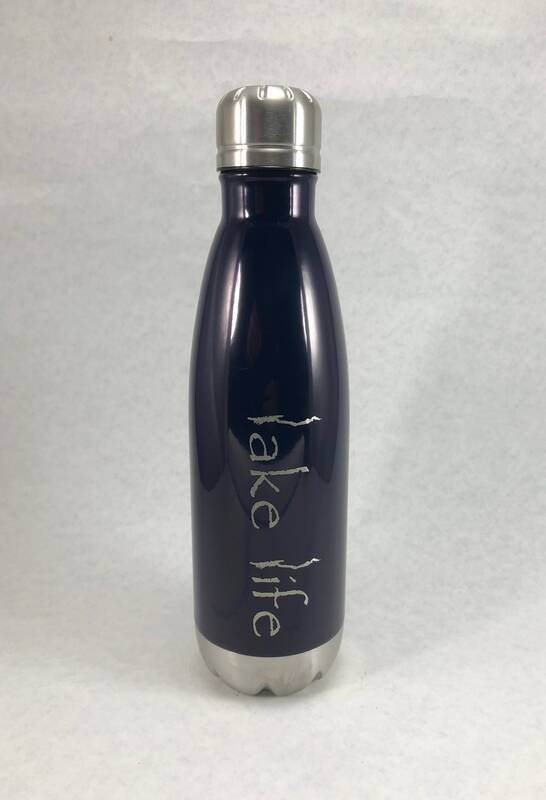 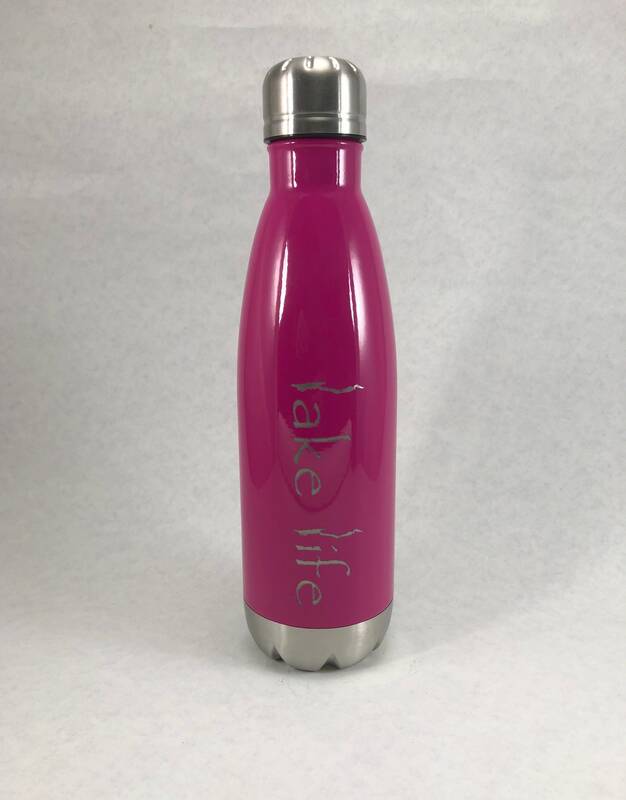 Enjoy your favorite beverage with your own laser etched stainless steel bottle featuring Lake George as the outline for the two l's in Lake Life! 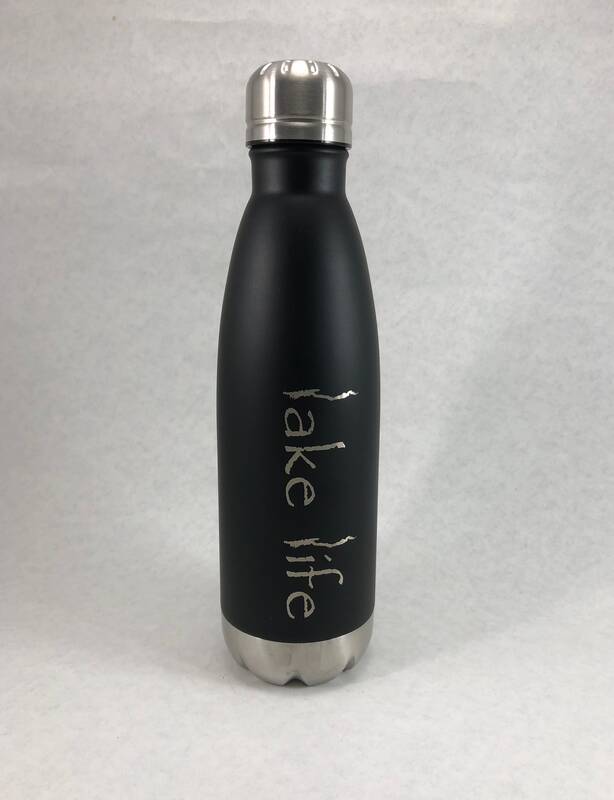 Subtle enough to take a second look. 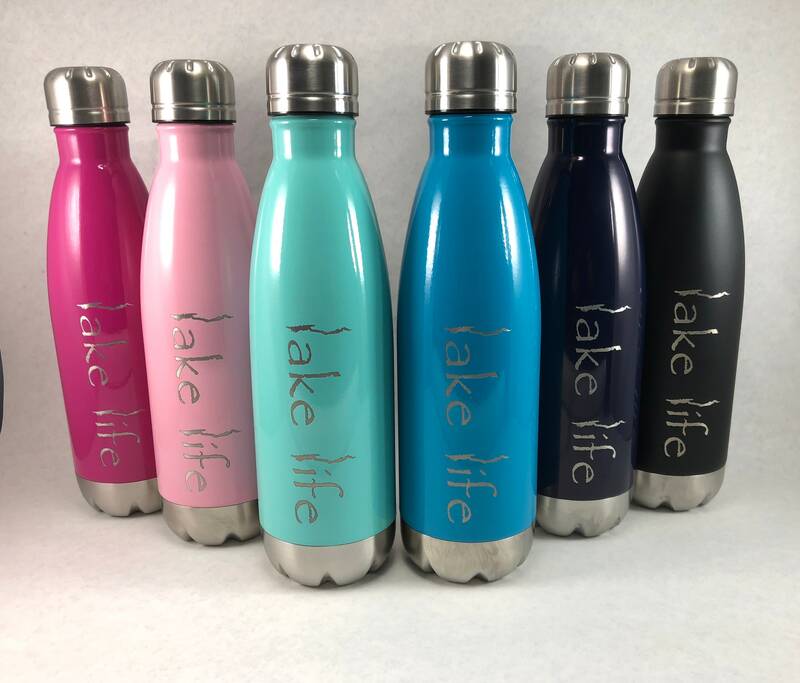 These are a great way to keep you beverage cool while you're out in the hot sun on the beach or on the lake. 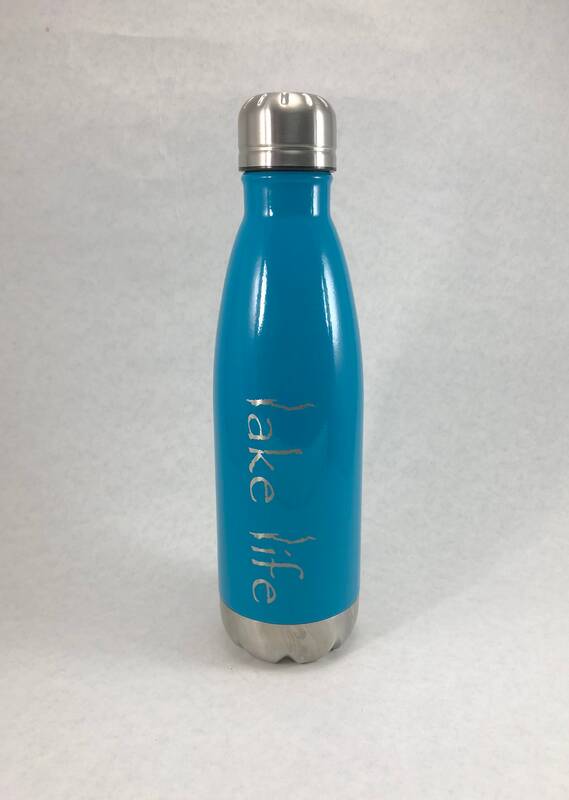 Whether you live on the lake or far away, this 17 oz water bottle will be a reminder of just how beautiful it is there.